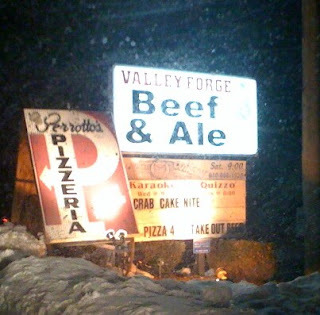 I'm guessing that Valley Forge Beef & Ale either purchased the recipe and ovens, or they've partnered with one of the Perrotto heirs. I just happened to be driving by when I noticed the sign out front. Within a few days, I was ordering a pie! This is one of the suburban area pies with the cornmeal that goes back a ways...Charlie's, Penny's, and Perrotto's. 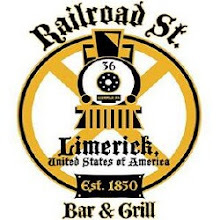 How is the tap list at this place? Ehh...not so good. The best thing they have is Magic Hat 9. Not that there's anything wrong with that but for hounds like us, it's not exactly cutting it.